The concept of linked data within the semantic web is in my eyes a huge opportunity for getting data and information quality improvement done. The premises for that is described on the page Data Quality 3.0. Until now data quality has been largely defined as: Fit for purpose of use. The problem however is that most data – not at least master data – have multiple uses. My thesis is that there is a breakeven point when including more and more purposes where it will be less cumbersome to reflect the real world object rather than trying to align fitness for all known purposes. Location data has been some of the data types that have been used the most already on the web. Linking a hotel, a company, a house for sale and so on to a map is an immediate visual feature appealing to most people. Many databases around however have poor location data as for example inadequate postal addresses. The demand for making these data “mappable” will increase to near unavoidable, but fortunately the services for doing so with linked data will help. Hopefully increased open government data will help solve the data supply issue here. Linking party master data to external data sources is not new at all, but unfortunately not as widespread as it could be. The main obstacle until now has been smooth integration into business processes. Having linked data describing real world entities on the web will make this game a whole lot easier. Actually I’m working on implementations in this field right now. Traditionally the external data sources available for describing product master data has been few – and hard to find. But surely, at lot of data is already out there waiting to be found, categorized, matched and linked. I support your thesis especially regarding party and product master data. You highlighted the consumption perspective where LinkedData principles likely have advantages attached (primarily in reducing tech. special interfaces to a common multiuse format). This is somehow attached to the current provenance debate, but has deeper requirements in terms of accountability of information. Thanks Daniel. I agree. 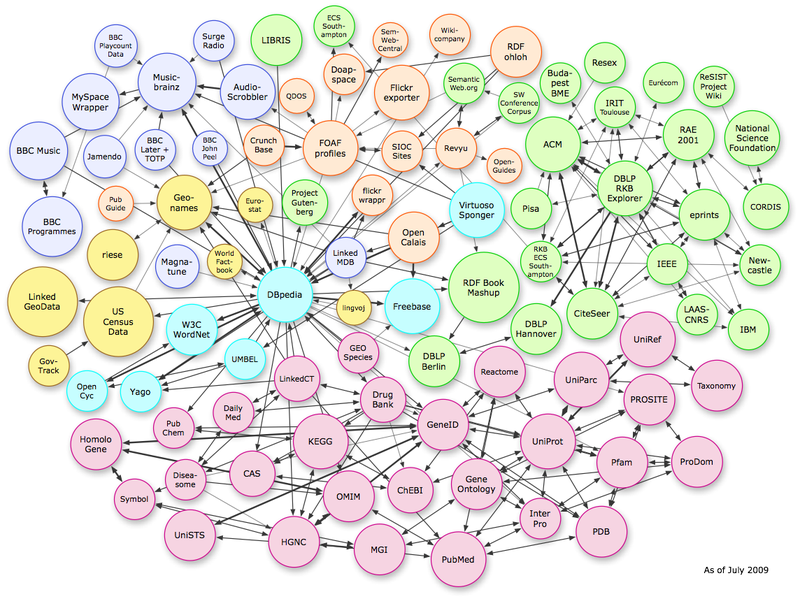 Provenance and accountability will be essential when using linked data in enterprise systems. I confess: the image attached to the article is charming! I featured you on my blog a few weeks ago and actually received some of my first comments ever!